Provide comfort for the family of Cheryl Burton with a meaningful gesture of sympathy. On December 15, 1958, Cheryl Denise Burton was born to John F. Nedab and Shirley Burton. Cheryl grew up in Melfa, VA and joined Burton’s Chapel Independent Church, at an early age. She attended Onancock High School and graduated at the top of her class as Salutatorian in 1977. She received her Bachelor’s Degree from Old Dominion University, Norfolk, VA in 1981. She joined the Air Force in 1982. After an Honorable Discharge, Cheryl went on to live in Fairfax, VA where she would work at the Central Intelligence Agency (CIA), retiring some 30 years later. Cheryl returned home to the Eastern Shore in 2019, where she spent her final days with her family. She was happy to spend time with family. She was affectionately nicknamed “Cupcake” by her Uncle Henry. She was always surprising her family with gifts on Mother’s Day, Father’s Day, birthdays, Christmas and other special occasions. She accepted the Lord as her personal Savior and on April 1, 2019, after a lifetime of service and dedication, the Lord saw fit to take her home. Many precious moments will be cherished by her parents, Melvin and Shirley Sheppard, her sister, Latonya, her brothers Maurice and Melvin (Melissa), three aunts, Gracie, Rosetta and Jean and three uncles, Wellington, Will and Lewis, three nieces, three nephews, two great nieces, five great nephews, a host of cousins, relatives and friends. Cheryl was predeceased by her father, John F. Nedab, and her brother, Marko P. Burton. Cheryl will be truly missed by her family and everyone with whom she came in contact. 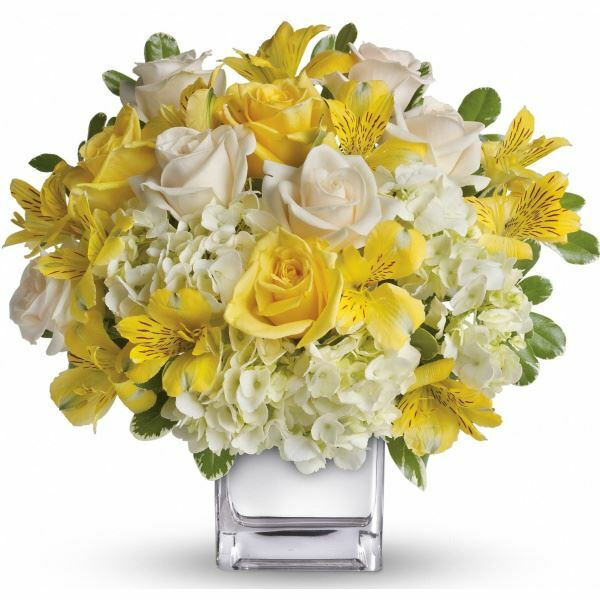 A special thanks to the staff of Inova Hospital, Fairfax, VA, Riverside Shore Memorial Hospital and the Cancer Center, Onley, VA .
To send flowers in memory of Cheryl Denise "Niecey" Burton, please visit our Heartfelt Sympathies Store. Love, Latanya Sheppard sent flowers to the family of Cheryl Denise "Niecey" Burton. Love, Latanya Sheppard purchased flowers for the family of Cheryl Burton. I am really sad to have lost my cousin Cheryl. We both had busy lives and careers. So we did not stay in touch over the years as much as we should have. But I know that she always carried that Burton spirit with her. Over the years as her younger cousin, I looked up to Cheryl for her fashion sense and for being very bright and funny. She could always make me laugh just by talking. I would tell her that she sounded like she had a California "valley girl" accent. RIP Cheryl and condolences to my Aunt Shirley and her siblings and many nieces and nephews.